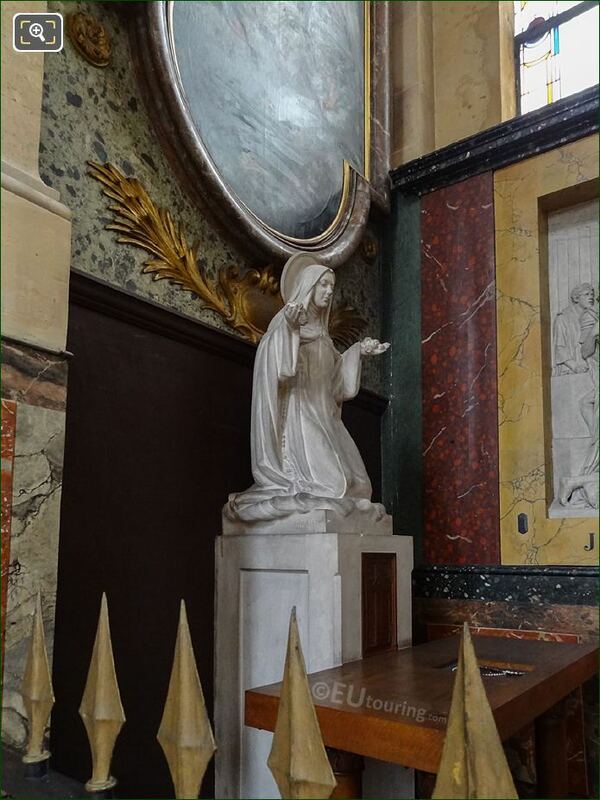 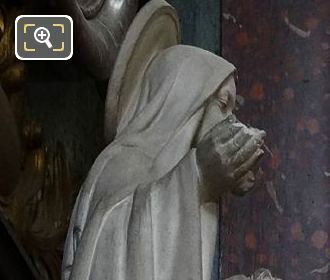 We were within the Eglise Saint-Roch in the 1st Arrondissement of Paris, when we took these high definition photos showing a statue of a saint kneeling, that was sculpted by Auguste Maillard. The Eglise Saint-Roch is a very historical church in Paris still functioning for its dedicated purpose, yet it is also classed as a museum in its own right, due to the numerous statues, paintings and sculptures that are contained within it, and this first HD photo shows one particular statue depicting a female saint. 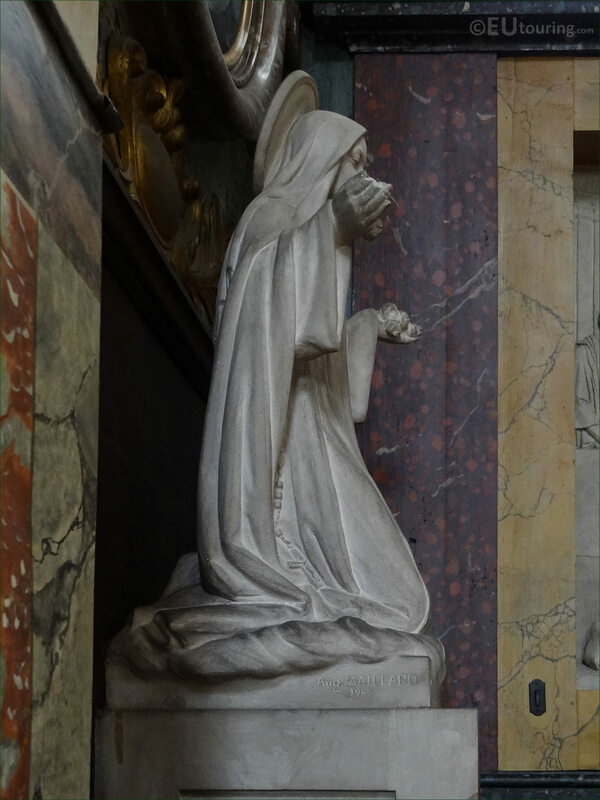 Unfortunately, we have been unable to find out who the statue is designed to represent, although this was sculpted in marble in 1943 and shows a female figure kneeling as though she is praying or providing an offering to God, which was produced by Auguste Maillard. 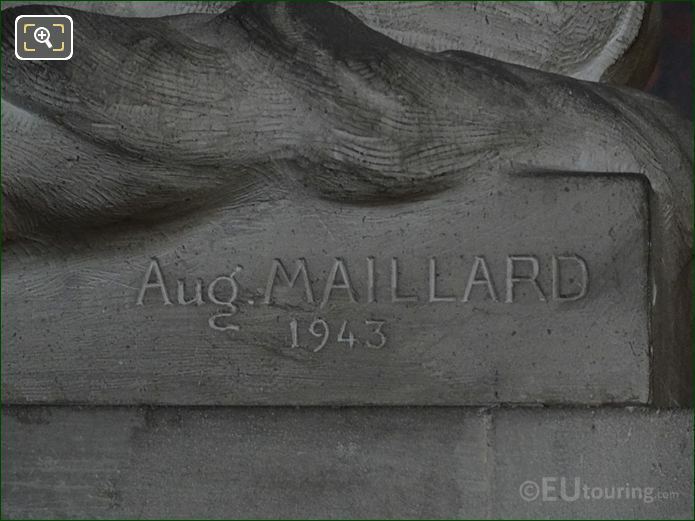 Yet the close up photograph above shows where Auguste Maillard has signed his name at the base of the statue on the right hand side, along with the year of production, and born in Paris in 1864, he studied at the Ecole des Beaux Arts to become a French sculpture, eventually becoming a professor there. 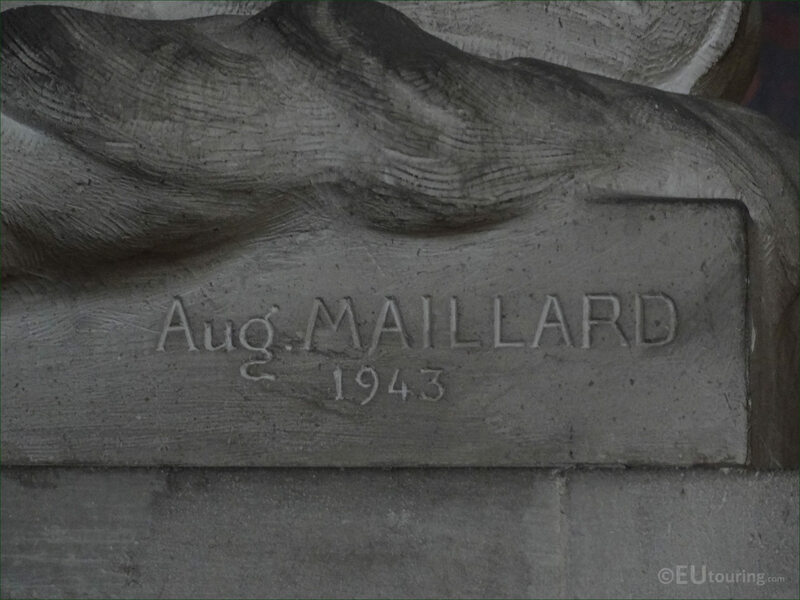 And although Auguste Maillard produced this particular saint statue, he was most sought after for his war memorials and monuments to the dead that can be found in numerous different cities throughout France, still continuing to sculpt right up until 1944 when his life came to an abrupt end after being hit by a bullet during the fighting of the Liberation of Paris. 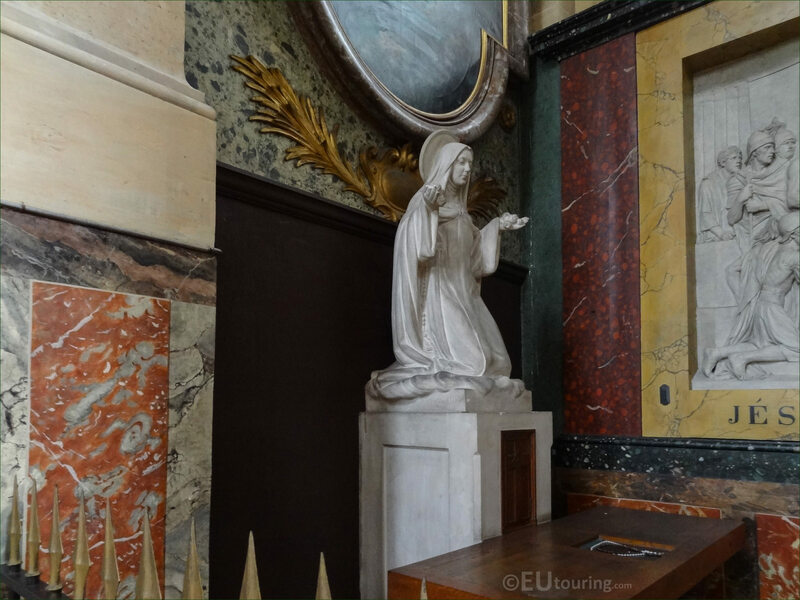 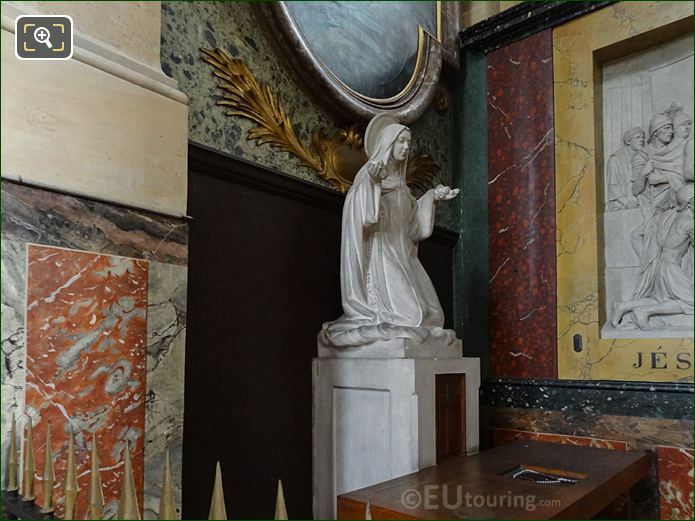 Now you will find that the Eglise Saint-Roch is divided up into many different chapels, and as you have entered the church from the Rue Saint Honore, this marble statue is located in one of these chapels to the right hand side in the deambulatory section of the church past the transept.